Every few years, Haiti returns to the headlines, usually for unhappy reasons: natural disaster, political turmoil, general misery. Such news can seem doubly strange and awful when you consider that the country is only a short flight from sunny Miami. Often, Haiti feels more like a mystery and a puzzle than an actual place. Edwidge Danticat shows us a Haiti that’s more real and humane, and Haitians who are more than one-dimensional victims. Her novels, such as Breath, Eyes, Memory, and The Farming of Bones, as well as her short collections, including Krik? Krak!, are a window into a world most of us will never visit. Her powerful writing has won her fans and awards (including a MacArthur “genius” grant) since she was plucked from obscurity by Oprah Winfrey and her book club in 1998. 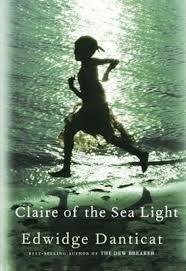 Danticat’s newest work, Claire of the Sea Light, begins in a seaside village called Ville Rose.